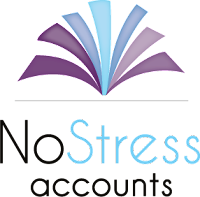 New brand for No Stress Accounts, I hear you say??? That's right accountancy with a difference, The Accountancy Office offer a professional service without the stress of collecting mountains of paperwork for 12 months.... finally! Has been away for far too long!! Although I have been busy with the launch of Urban Mind Photography. While on my photography travels I met up with a local wedding dress designer. Maggie creates bespoke gowns from beautiful materials with an outstanding attention to the tiniest of details. 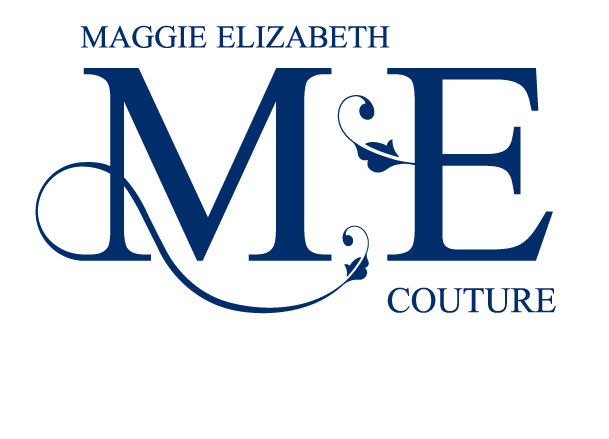 It was a pleasure to re-design her logo as it was to photograph her dresses. Trademarking is a long process but if you want to legally protect your name/logo this is the way to do it. There are a lot of rules on what can become a Trademark and I highly recommend reading up on this before paying the £200 fee as this is non-refundable, more information can be found on the Intellectual Property Office (IPO) website. Other companies or a solicitor can help with the application process but this can be extremely expensive and unnecessary. I went through the whole process myself directly with the IPO and if you receive anything from anyone claiming that you need to pay extra (I did), this is a con and should be reported to the IPO. To use an ® after anything that hasn't been registered is illegal and you can be fined, however you can use ™ without a penalty. Search engines will crawl around your pages regularly to establish what your website is about. Make sure that your content contains specific keywords but reads well with correct spelling and grammar. Make sure that your page title is short but reflects what the content is about, all pages should have relevant and different titles from one another. The 'description meta-tag' is very important for SEO and again should be short but describe the page. This section of content will appear on search engine results under the page title, so this shouldn't be a long list of keywords. 'Meta Keywords' are also important but don't use too many as this can have a negative effect on your websites rating. These again should reflect on what your website is about and for maximum effect use different keywords on each page. When choosing a URL, try and create one that is descriptive and contain your important keywords. For example, if your a photographer in Hereford www.herefordphotography.co.uk would be great for SEO. Make sure that your pages link together with no breaks. Linking also means other sites linking to your site however, these links need to be of good quality. Search engines like older websites, with time your site will become trusted and gain a higher rating as long as it is a good one to start with! However this doesn't mean that content shouldn't be updated regularly though. If you are thinking about setting up a website in the future it may be beneficial to set up a simple page to gain some exposure on the web. These points are just a start to the complicated field of SEO, there are many other factors that can come into play that I haven't mentioned. Overall, Good positions within search engines take time and effort so keep going and keep tweaking! "A logo should be an asset not an overhead"
This question has popped up a number of times over the last month or so, "A friend of a friend is thinking about designing her own logo, what do you think..?" My answer stays the same, of course you can! If you feel inspired and know what you want draw it on something quickly before you forget. If your going to use images from the Internet please make sure you have the right to do so or you could end up with a copyright issue before you've started. There are some websites that provide free stock images, but be aware that not all free images are good quality ones. When scouting for an image, a simple and clean design with few colours is best to brand all types of marketing methods and will be more economical for future printing costs. If you want to draw the image yourself you may have problems with the software that is available to you, most day to day office programs will have no drawing tools and won't give you a file format that is suitable to print in high quality. Industry standard drawing programs are very expensive and can be complicated to use for a beginner, the tools are vast but important for a professional finish. 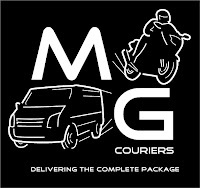 If your unsure because of the cost, remember your graphic designer will, well should have a degree in the area of design, knowledge in marketing, the skills to research into your business sector and target market, industry standard software to develop your logo with a good understanding of typography, colour and style. A good logo takes time and a lot of research, it's going to cost more that £50 but it's a one off payment that will last the duration of your business. If you have an idea and want to be invloved with the logo process have a chat with your designer, it's great to get a client that knows what they like! I've now had a phone call from the man himself (Alistair Druett! The coordinator of the Worcestershire Chamber of Commerce networking events), informing me that they now have a special offer of £15 for all of those people wanting to try out a breakfast networking event on a bargain! * As much tea, coffee and orange juice you can drink in 2 hours! I can't stress enough that this has been the most cost effective and successful way of generating new clients. Grab it while you can, it's a great opportunity to meet people and most of all make money! It's official! During a presentation on branding to some business start ups, I found out that a gentleman had managed to get a free breakfast networking event with the Chamber of Commerce. So be cheeky and ask for a try before you buy!! You will be standing when you talk so if you don't know what to do with yours hands, which I'm terrible with, find something to hold like a napkin, leaflet or business card. I've done my pitch a few times now so I've pretty much got it down cold but if you are very nervous, practise in the car before you get there so it's fresh in your mind. One last thing to remember is to speak up and you'll be fine, good luck!